How did you start out in filmmaking? I grew in Sydney, Australia with three brothers and immigrant parents from Malta. Like a lot of kids, I grew up loving movies. I found them absolutely fascinating (still do). This one day my father brought home a VHS Video Recorder and I couldn’t take my hands off it. I’d fool around with my brothers, friends, and pets for days and pieced together these crappy videos and was always the go-to camera guy at any party or family function. It wasn’t until I was in high school that I saved up for a 35mm SLR camera and built a darkroom in my parent’s attic where I spent way too much time developing the experimental photos I took. Learning about film, light, composition, framing – that type of thing. Components that made an image interesting. I was much more of a hands on learner you could say. As much as I loved photography and movies, it never crossed my mind to pursue a career in the arts. I guess it was just too far removed from my blue collar roots. So I did what I was expected to do – went to university and got a ‘real job’. That real job was a Builder and I absolutely hated it and the person I was becoming as a result. So I took a soul searching trip to New York and attended a short course on filmmaking. It was love at first site. I came home, quit my job, sold my car, and returned to New York three months later enrolled in film school where I studied screenwriting and directing at New York Film Academy. During the next two years, I made a bunch of shorts and worked on any indie films I could. 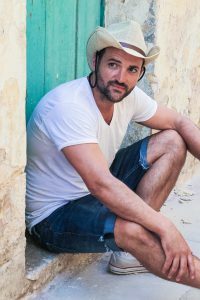 I came back to Australia and started my own boutique production company, Galea Pictures which I eventually produced Love to Paradise through and about to go in pre-production with my next feature film. Love to Paradise was a result of a couple of factors. Firstly, having all of my previous feature film projects never getting out of development for one reason or another, I told myself I would write something that I knew I could get made with the minimal resources that I had but also had to be personal enough to commit the next chunk of my life to. I remember struggling for a couple of months to come up with a story until I was at my aunt’s house in Sydney visiting. We got to talking about Malta and she said I had a place to stay there anytime I wanted to go. My mind immediately starting working as I had visited years before. I couldn’t even hear what she said after that – I was already coming up with a story. I rushed home and mapped out what would become Love to Paradise. Secondly, I wanted to tell a story that explored a time in my life where I was filled with doubt and uncertainty about my future. Being stuck in a career and relationship that didn’t explore my full potential. A time when I was searching for more. I thought if I could tell a story at its essence about two people connecting and set in a world that would help bring my characters and their journey come to life, I just may have a shot of making a film at a price that an audience would find interesting. Funny story actually. Like so many filmmakers after getting the film in the can they never have enough money for post production – but I figured if there is one area I couldn’t budget on would be the final look of the film. So I engaged a professional and ended up getting totally screwed! I spent all my post money on a color grade that didn’t meet my brief and was useless. I researched films online with a similar look to what I wanted that were shot on the same camera and discovered FilmConvert. I told the colorist about it who got totally offended and called it a ‘consumer’ product and not for professionals. So without any money left to engage another colorist, I really didn’t have a choice but to learn to color grade – on a feature film! 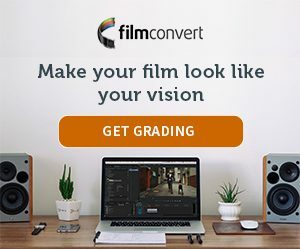 I did some more research on FilmConvert then graded the film with FilmConvert within FCPX which is the program I edited the film on. Very simply the cinematic look it gives to digital imagery. We shot in 4K with vintage primes which baked in an organic texture to the imagery and was a great starting point, but coupled with FilmConvert – we had a winner! I knew exactly what I wanted – a naturalistic look with cinematic quality. Malta is an ancient country with some of the oldest free standing monuments on earth. It’s naturally rich in limestone and most of the country is built with this resource bouncing an earthy, lime tinged glow. This coupled with a very dry land juxtaposed against the bluest water of the Mediterranean – with rich, vibrant colors of period balconies, doors, boats etc., and the warmest sunsets that never seem to end – I wanted a textured look that would bring all this organic beauty to life for the story world of this travel themed romance. The film was shot with Panasonic GH4 in C4K with tweaked natural settings then edited natively in 4K with FCPX. I experimented with different things but generally, I found if I applied FilmConvert first to my footage, then color corrected I had more control than doing the traditional basic correction then grading.